Ryle's chief aim is to help the reader to know Christ. He also has another object in view. He writes so that his commentaries can be read aloud to a group. There are many other fuller commentaries on the Gospels, but no others make such compelling listening as those of J.C. Ryle. 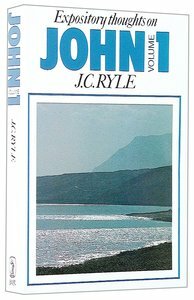 About "Expository Thoughts on John (Vol 1)"